A few weeks ago, the kind folks over at Riley Blake Designs invited me to participate in their Quilt-It Modern blog tour, which starts today. 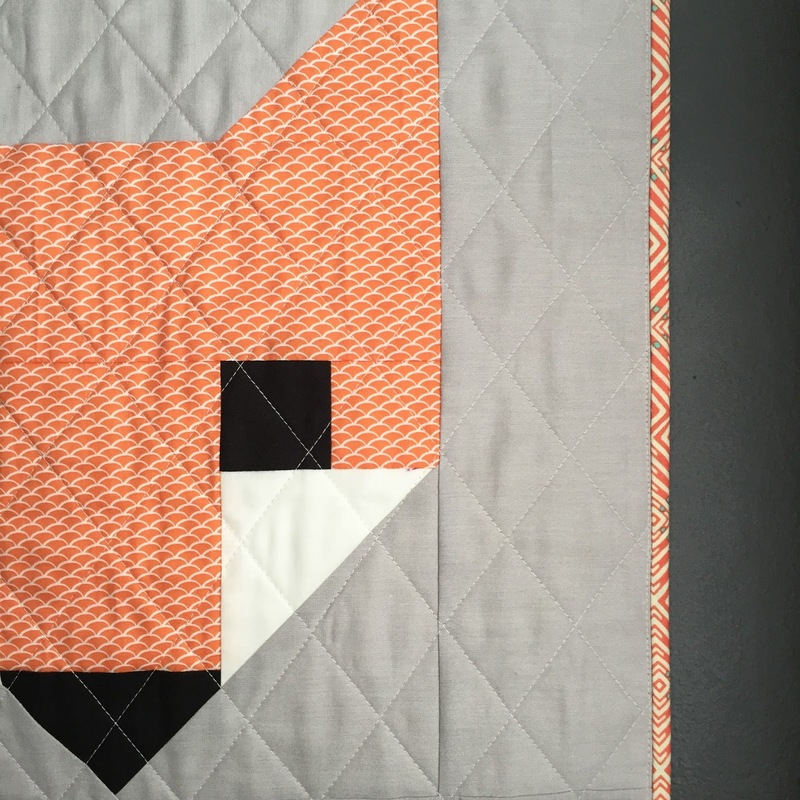 The tour is all about showcasing the fabric company's impressive range of cotton solids, so I was excited to have the chance to try out their fabrics and work on a new wall quilt design for the shop. I love looking to geometric patterns, especially tile patterns, for quilt design inspiration. During a night of Pinterest browsing I came across this tile pattern and immediately started envisioning it in fabric and began sketching. My sketch became this mini quilt. I used white and two shades of coral and peach to create hourglass triangle blocks, which replicated the tile design. I love olive + peach paired together (as evidenced in this recent quilt), so I bound the quilt with a solid olive, and backed it with an olive polka-dot print by Spin Spin. I made lots of extra hourglass blocks, so two of these quilts are now available in the shop. Each one has corner triangles and loops for hanging, and will ship with a wooden dowel. I really enjoyed working with these solids---they were super soft!---and I can't wait to see what other colors everyone else is working with. You can follow the blog tour, and see all of the quilt projects made for it, by checking out the hashtag #ModernQuiltTour now through July 8.